For the past two years, I always put my son’s money in a small ziplock bag and place it on his portfolio (clear plastic envelope) so his teacher can see it. The money is for contribution or payment for class picture or any school stuff. 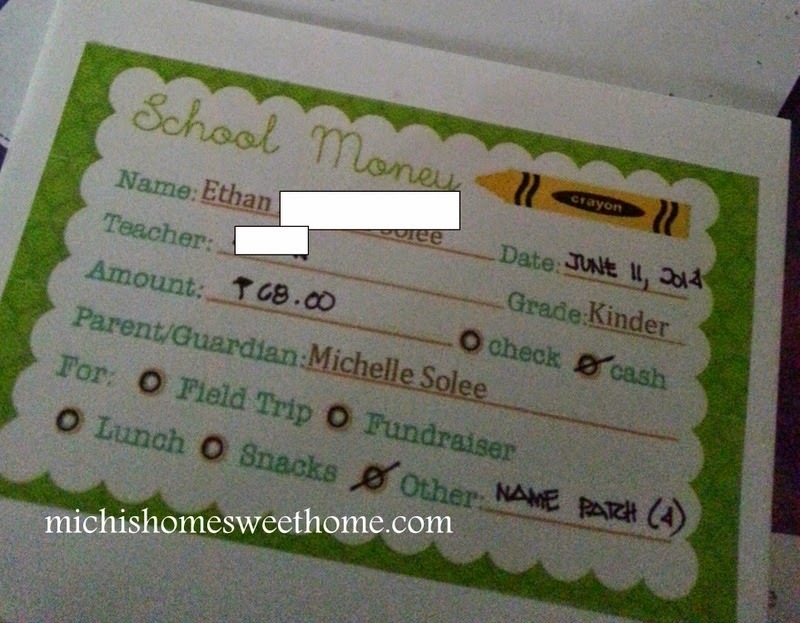 Then last summer while I was looking for school labels, I saw this school money labels. It is free so I printed it and bought a small envelope where I will put the money. It is very useful and I’ve used it for school service payment and now I’m attaching this envelope in his notebook for the name patch payment.